Enjoy the curves with this eye-popping curved braid pattern! From Victoria’s newest book, “Modern Quilt Magic,” this class will focus on curved piecing, cutting and pinning for success. 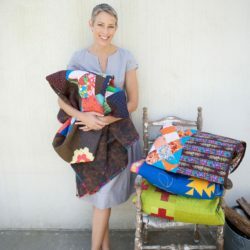 Use solids, prints and lights to make a dazzling quilt with interwoven movement and simple, graphic style…or just go Scrap-crazy and use all those great prints in your stash! Curve Braid template (or order online at vfwquilts.com) *note: If you have the template already and are pre-cutting some pieces, please be sure to mark the notches with a pencil on the wrong side of your fabric. Place writing on the template along fabric grainline, unless the print is directional, then line up the print with the pointed straight edge of the template. 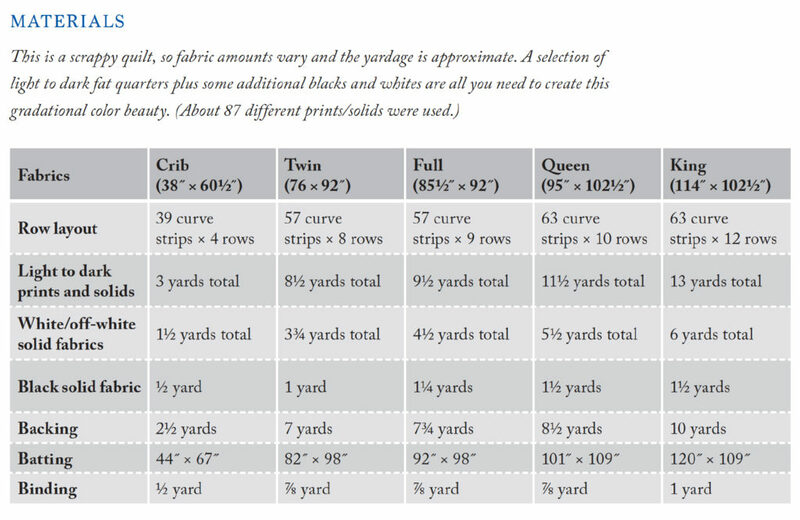 Refer to the photo above and fabric yardage chart on the following page to choose fabrics. **note: This quilt also looks amazing in a mixture of scrappy fabrics without the dark to light gradation. ~Design wall: Cotton batting to lay out your design, and to carry it home in (approximately twin sized).